The only thing more soul-crushing than a sad desk lunch is spending a fortune on overpriced food at the chains around your office. Trendy salad spots and healthy assembly line variations know they can overcharge the lunch crowd because let's face it, you've got to eat, so whether your grain bowl is $10 or $12 is nominal so long as your curing your hunger pangs. There's another cure for being #hangry, though, and it's doubly good for your bank account: making a healthy lunch at home. We know that in theory it sounds a bit daunting, but when you're using colorful, fresh ingredients and creating a filling meal at a fraction of the cost of the lunch spot around the corner, you'll feel good about those few extra minutes spent prepping your meal in the morning. Take, for example, lettuce wraps. They're a highly searched-for recipe category not only because they're delicious and fast. It's a sandwich without the processed flour and extra carbs—plus the added greens. While the concept may seem a bit one-note, we promise there are a ton of delicious variations that'll keep you more satisfied than your usual avocado-quinoa-ginger standby. 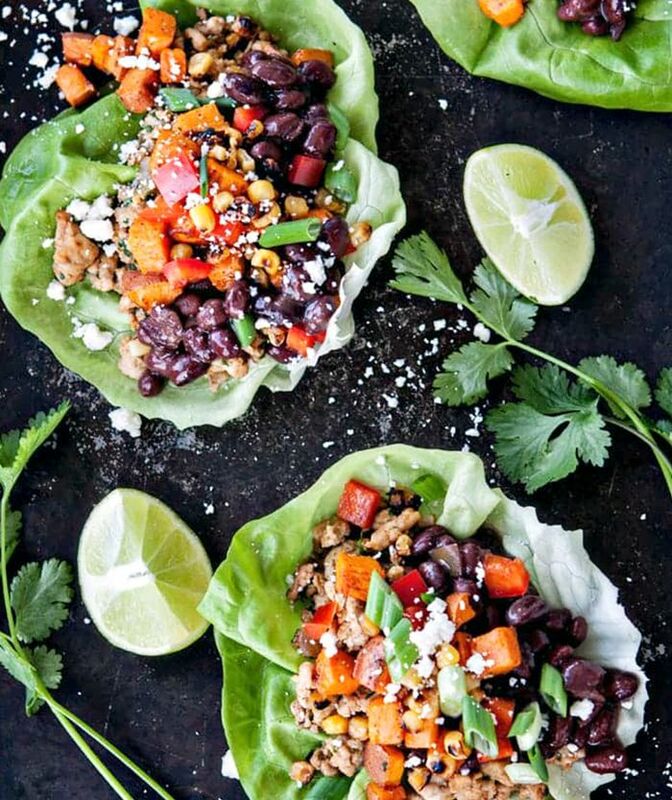 Take a look at some of our favorite lettuce wrap recipes below! The highlight of these Thai lettuce wraps is the semi-sweet sauce, which pumps crazy flavor into the chicken and veggies. Plus, you can serve the filling hot or cold, making them the perfect on-the-go snack. Not about making your own sauce? Try these teriyaki-chicken lettuce wraps flavored with a store-bought, preservative-free sauce for a quick but tasty meal.